Does this sequence of screenshots explain my problem? I have got gScape to work in the past, but the proceedure seems excessively complex, or is it just me. 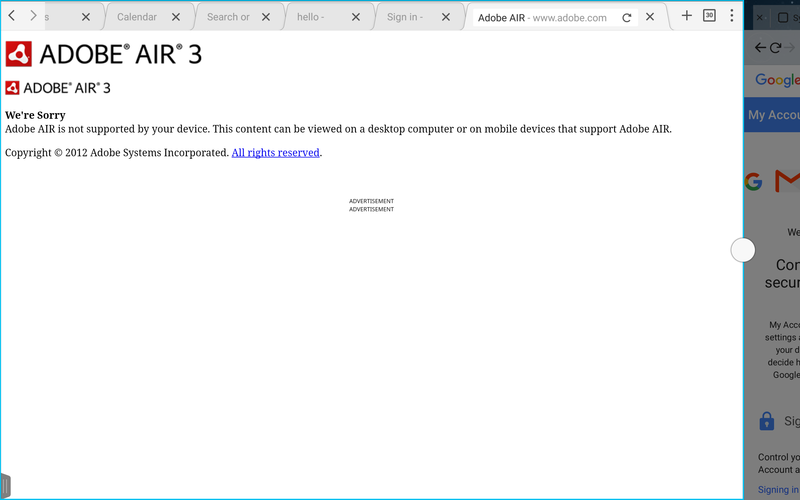 I am using Puffin browser/ Dolphin kept crashing). And wishing to proceed with a new trial with a view to buying, especially for presentations. To use Goalscape on your Android device you need to use Goalscape Online. You can access the full web application using the Puffin browser (which supports Flash applications). Or you can use the free Goalscape Mobile app – it's on Google Play (or just search for 'Goalscape' on Google Play). Goalscape Online also runs in any major browser on any Windows or Mac desktop or laptop computer (requires the latest Adobe Flash Player installed and enabled in the browser). You have a Free user account under your username [email blocked], which means you can create 1 project (30 goals maximum) and share it with any number of others – you can even give them Edit access to your shared project. 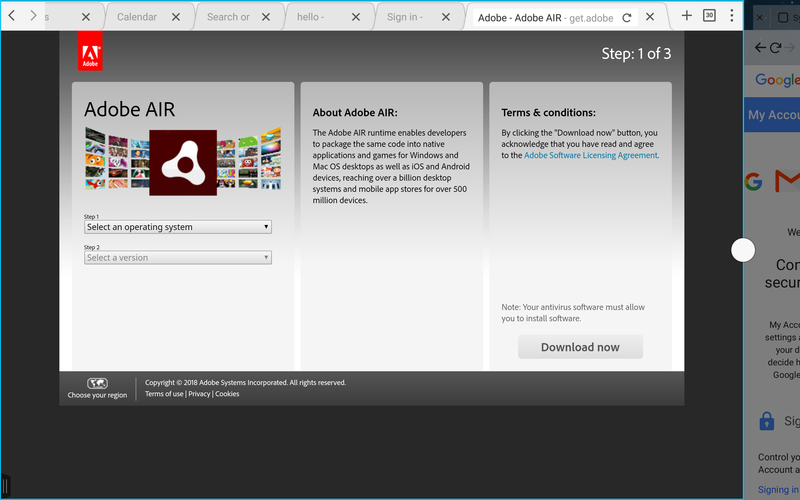 From your screenshots it appears that you are trying to download Goalscape Desktop to an Android device. 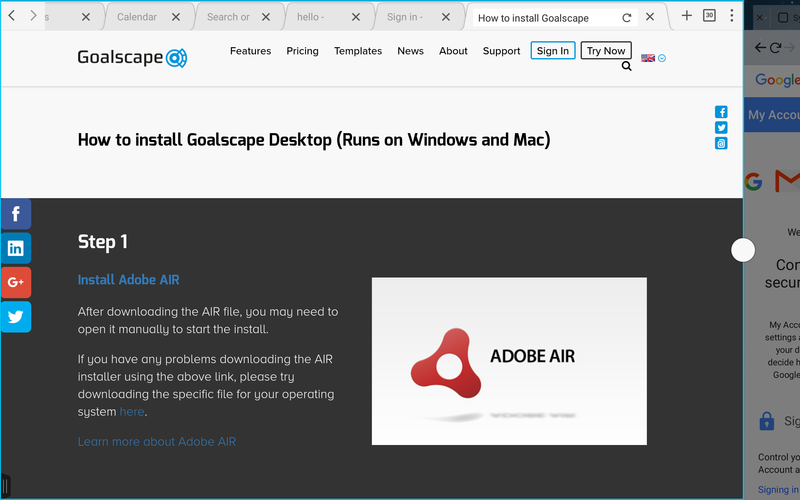 Goalscape Desktop is standalone desktop software for any Windows or Mac desktop or laptop computer – and it requires Adobe AIR to be installed on the computer. 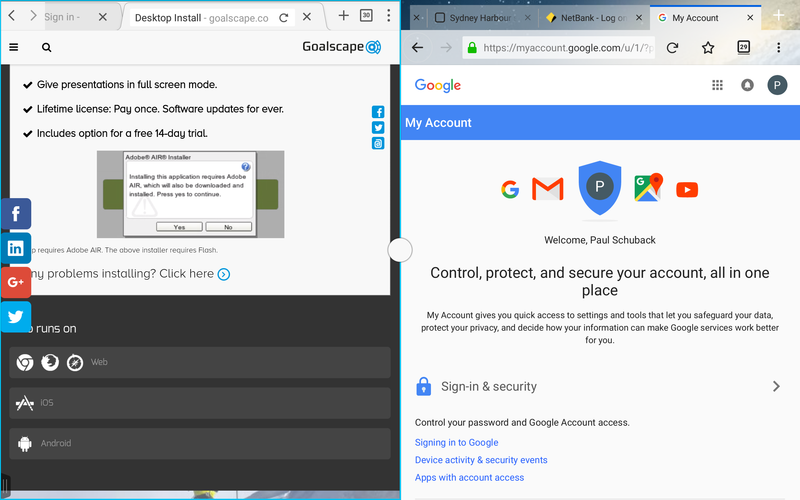 Goalscape Desktop is not an Android app and cannot be installed on an Android device. PS If you are going to use Goalscape for presentations we recommend you use a 'proper' computer and browser (either Mozilla Firefox or Google Chrome – and Chrome uses its own Flash plugin so it is always up to date). You should also ensure that you have a fast, reliable internet connection at the venue. You may also be interested in Marcus Baur's video Using Goalscape for Presentations, Meetings and Projects and Emmett Lazich's blog article Easy, Memorable Presentations the Goalscape Way.